Adults can learn to mountainboard and kiteboard with this Kheo Bazik ATB package. 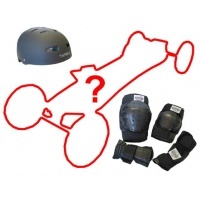 Complete with pads and helmet to keep you safe as you progress your riding. 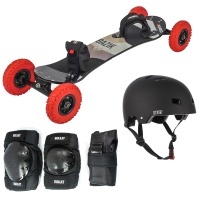 Combine our Any board Pads + Helmet Set with the purchase of any mountain board for the perfect starter package. Want to learn to mountain board? The Raid Assassin is a great beginner & intermediate board for adults or older children to learn & progress with. Sold with Bullet pads & helmet.